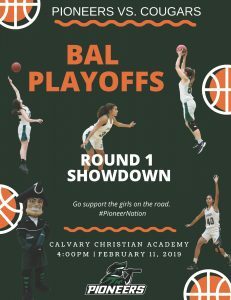 Go support the girls as they travel to Calvary Christian Academy on Monday 2/11/19. Tip off 4pm. If they win, the girls will continue on to the Quarterfinals on 2/12/19 at Lower Moreland.